In-house testing. On the house. See an overview of our capabilities. 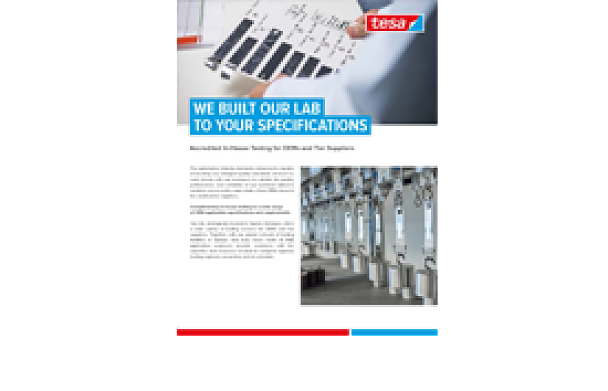 Located in Sparta, Michigan, the tesa lab offers a wide variety of testing services for OEMs and tier suppliers. From general mechanical tests to specialized applications, our team of R&D application engineers works closely with OEMs to validate tesa® products and helps you build more reliable, cutting-edge vehicles.